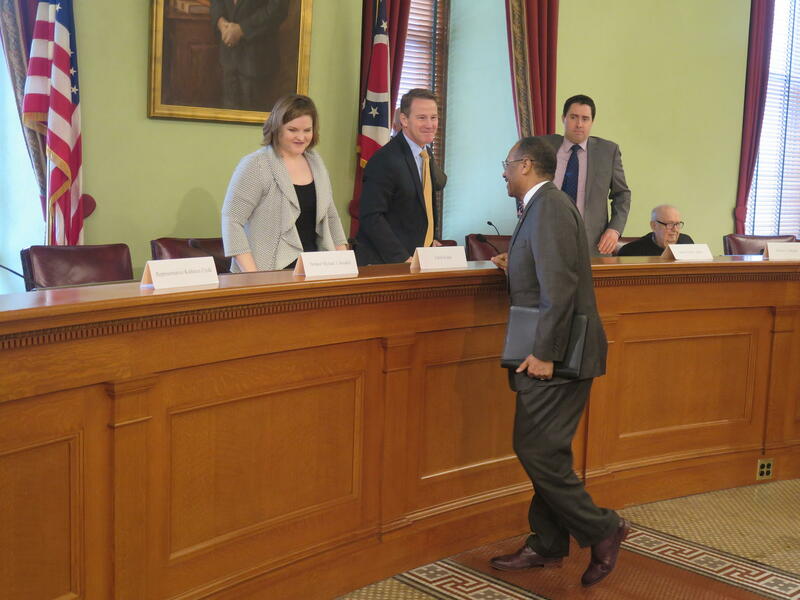 Sen. Vernon Sykes (D-Akron, right) laughs with Secretary of State Jon Husted after the Ballot Board vote. Sykes was part of the group that negotiated the deal between lawmakers and citizens' groups..
A plan to change the way the state’s map of Congressional districts will be drawn after the 2020 census will be on the May ballot as Issue 1. Citizens’ groups had wanted to put the map-drawing authority with a bipartisan commission, but it stays with lawmakers, who agreed to concessions on limiting the amount of times counties can be split and requiring minority party buy-in for long-term maps.